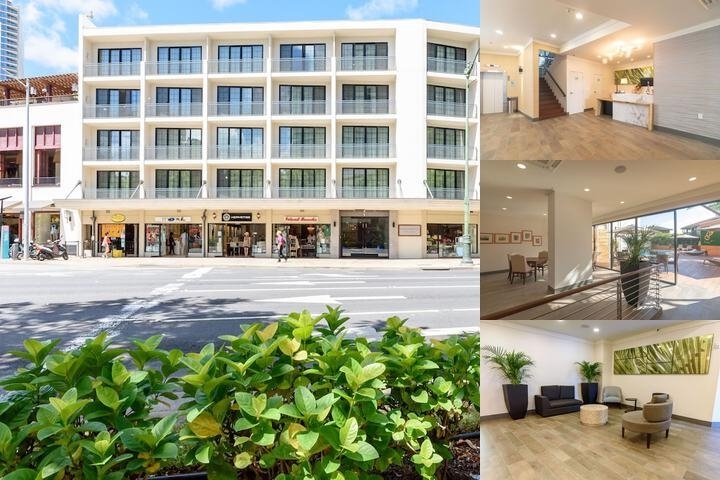 Polynesian Plaza is a charming oasis located on Kalakaua Avenue and Beach Walk, the newest focal point of Waikiki and just one block to world-famous beaches. Comfortable studios feature private lanai balconies and fully equipped kitchenettes with a 2-burner stovetop (most), microwave, and refrigerator. Additional amenities include a secluded outdoor swimming pool and sundeck, interior furnished lounges, and WiFi internet access ($). One night deposit Plus 13.96% tax is refunded if cancelation notice is given at least 72 hours prior to arrival. 9 miles from Honolulu International Airport. Prearranged shuttle service available.